The Reeplex 6 cell rig offers up to 6 barbells to be used at any given time. 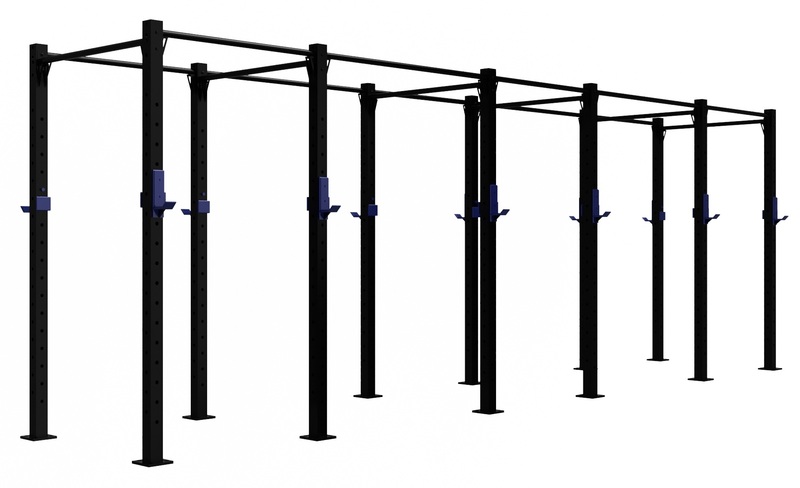 The free-standing frame with 75x75x3mm tubing provides superior stability while racking barbells and performing pull-ups on the bars provided. This rig can be customized, contact us today. - 6 pairs of J-hooks with Rubber.